Bucky Backup is a flexible backup and recovery solution that utilizes IBM’s Spectrum Protect. Must be a UW-Madison faculty or staff member. To set up Bucky Backup you will need a valid DoIT Number (preferred), Project Task, or UDDS code. Please create a Bucky Backup account before installing the Bucky Backup Tivoli Storage Manager Client. 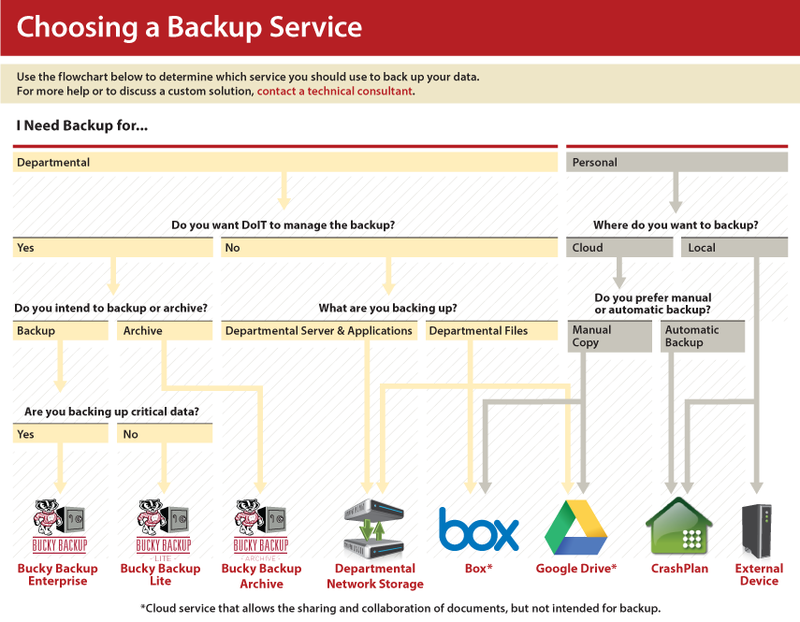 Then, follow the Bucky Backup – Getting Started guide. Contact us for assistance. Rates are based on the amount of megabytes of backup space used per month (approximate cost in gigabytes per year is also shown). New rates effective January 1, 2018.